Red Snapper caught aboard the Cool Cast. 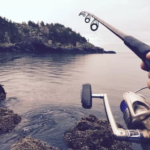 If you’ve only ever tried freshwater fishing, casting a line in saltwater may seem like a different kettle of fish (no pun intended) altogether. But the real excitement comes from your choice of location. Even if it’s just a game of catch and release, the higher your chances of catching the big ones can make all the difference. Well, there’s no better location than the Key West in the U.S.
Florida has always been one of the great fishing destinations in the world, and the Key West is very much among the most popular playgrounds for all types of anglers, — with all the fish they catch you’re almost sure to go beyond the bag limit. 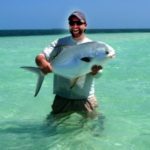 So it really doesn’t matter if you are a novice or an expert angler, you are sure to have fun when saltwater fishing in the Key West. And because there are plenty of professionals, the beginning angler is sure to find a good teacher, and the seasoned angler will have no problem finding a captain to suit any angler’s skill level. Take Captain Pepe from Seize the Day Charters as an example. He is well known for putting many novice anglers onto some monster fish offering many type of fishing methods. With its abundance of marine life and perennial warm weather, fishing is a year-round affair, too! Depending on where you cast your line or troll your bait, you will catch tarpon, snapper, grouper, shark, tuna, marlin, and myriad of other species. Head out to the flats and channels that run through the backcountry keys and cast your fly for tarpon, permit or bonefish. On the reef or in the backcountry, fish for mangrove and mutton snapper, or show off that killer grouper jig you made on a wreck. What is even better is that there is other nearby fishing grounds that you can explore. Because the island shares part of the Atlantic Ocean and the Gulf of Mexico, you can venture further and take saltwater fishing to the next level. 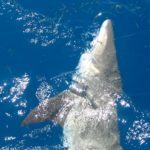 Check out wrecks and find species that are only present for a particular time of year or season, such as migrating wahoo, sailfish, kingfish and cobia. Steer your boat near the Gulf Stream for some pelagic action. 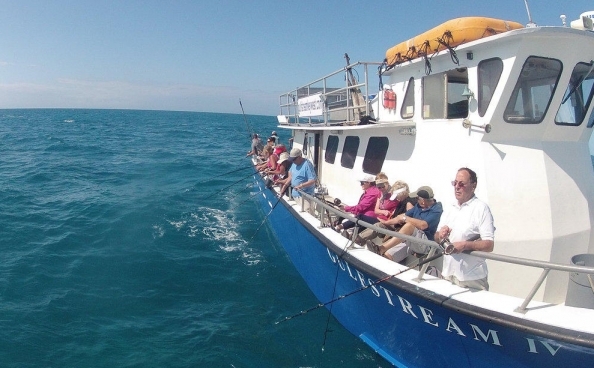 Six miles into the Atlantic is a reef line that provides world-class fishing. If you venture further to what is called the End of the Bar, a bar that is part of a submerged reef, you can indulge in live baiting tuna and wahoo. Head west for the less traveled areas of the Marquesas and the Dry Tortugas and the Marquesas. 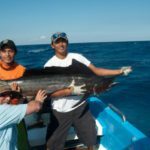 Since both locations are fishing destinations that anglers from all over the world dream of fishing in, you should check them out, regardless of how far you need to go to get there. In Marquesas, in particular, you can go channel and flats fishing. 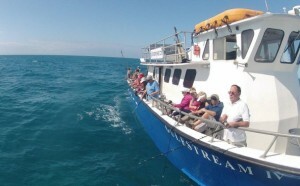 Party or head boats are a terrific and affordable way to experience Key West fishing. 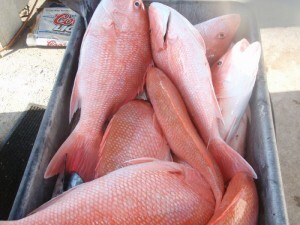 But saltwater fishing is just one of the many things you can indulge in when in the Key West. There are plenty of other activities you can do, including diving for lobster, sailing, kayaking, stand up paddleboarding, and every imaginable water sport! Key West also has world class watering holes, and restaurants to make your mouth water for more. Land based attractions include elegant Victorian and mid 19th century homes, including the residence of Fishing and Sportsman Legend Ernest Hemingway, a museum devoted to treasure hunting, a Butterfly museum and a nightly show of creative artisans and acrobatic wonders at Mallory Square where sunset is celebrated every day. So, when you’re not fishing – or if you are leaving the family ashore, you’re certain that a good time will be had by all. Find every type of charter – from flats guides, to offshore charters, light tackle boats to party boats – no matter what fish species you want to target or what style of fishing you prefer, Charter Boat Row has a captain to suit your needs: http://KeyWestFishingBoats.com. 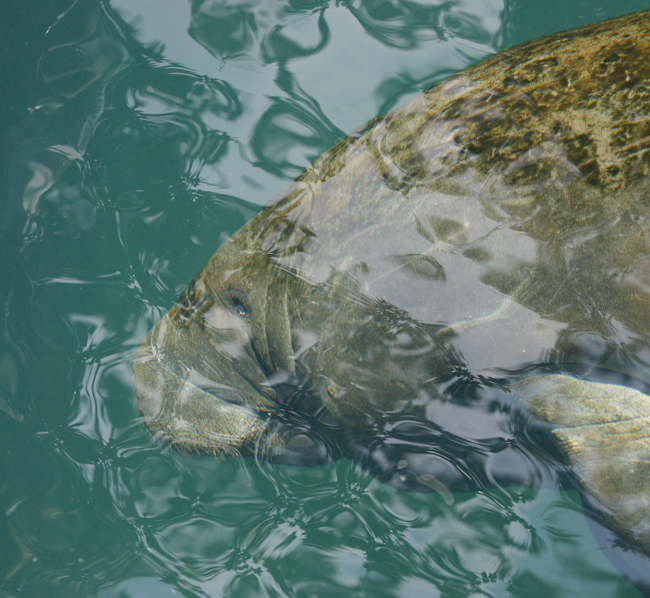 The manatee (or sea cow) is a popular visitor on Charter Boat Row. The docks are also one of Key West’s great “free attractions.” Even if you’re not fishing, visiting in the afternoon as the charterboats arrive with their catch of the day is highly entertaining. Not only will you see the fish that’s been hooked that day, you are likely to see tarpon angling for a treat, pelicans gawking for their share, and maybe even a manatee trolling for a drink from a freshwater hose. Historic Charter Boat Row is located at Garrison Bight at 1801 North Roosevelt Boulevard, Key West, Florida.